The QLok is designed to diminish the effects and aid in the rehabilitation of patellofemoral pain. 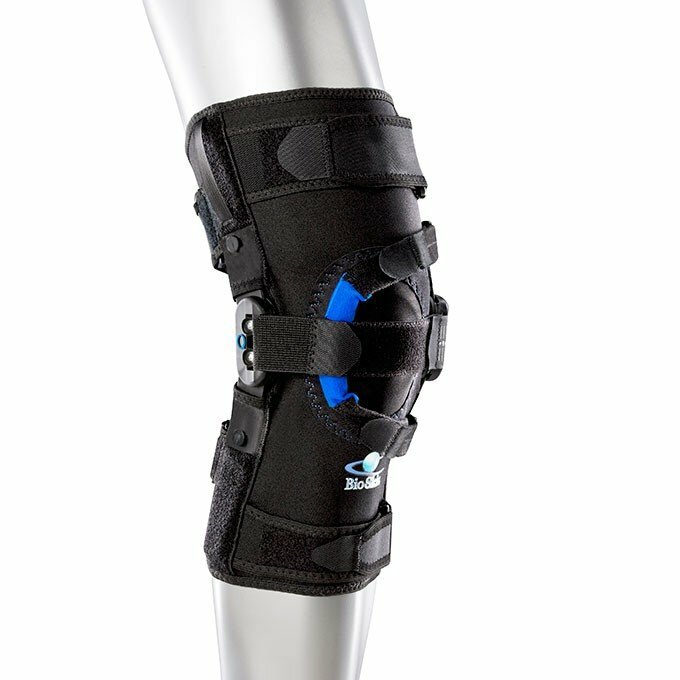 MEDIUM ONLY/ KNEE SIZE 13-14"
The QLok is designed to diminish the effects and aid in the rehabilitation of patellofemoral pain. The superior compression and unique strapping system of the QLok push the patella back into the correct position in the trochlear notch. A properly positioned patella spreads the force in the knee joint over a larger surface and decreases pain and wear on the joint. QLok Knee Support for Patella Tracking comes in two different versions. The slip-on that you slip thru the foot and pull up over the knee. The Front closure that you can wrap around the knee.